Ontario’s newest multi-jurisdictional fire communication centre is now also one of the largest, and Symposium Technologies is proud to be part of the success. 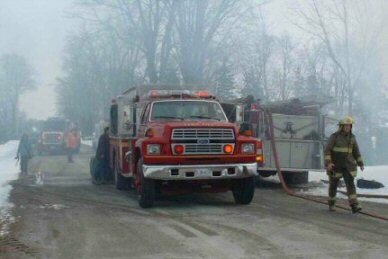 Tillsonburg Fire & Rescue Services, a new Symposium client who recently added fire communications services for Elgin County, has just been awarded the contract to provide fire communications for all of neighboring Norfolk County as well. With the addition of Norfolk, the Tillsonburg Communications Center and the Horizon EME CAD equipping it provide integrated dispatch and communications for 28 stations throughout 3 Counties. These jurisdictions contain a population of over 175,000 spread over an area of approximately 3500 square kilometers. The newly improved tri-county fire communications stands as another example of how Symposium successfully works with departments of diverse sizes and profiles to make operations smoother, safer, and more effective. If you think your department could benefit from what we offer, please let us know – we want to help you build your success.